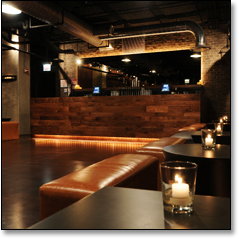 We'd be fools to think you haven't yet heard of that River North hotspot, Hub 51. R.J. and Jerrod Melman's comfort-food haven has gotten more press than Ashlee Simpson-Wentz's baby bump. But while most have focused on the decadently cheesy burgers, luscious maki platters and big-as-a-toaster slices of carrot cake, we'd like to direct your attention to one secret the boys managed to shield from the spotlight: Sub 51, Hub's lower-level weekend lair. Starting this Thursday, it's ready for all your late-night libation needs. You won't find velvet ropes or bottle service down here—descend into Sub's stylish cushion-and-concrete interiors, and you're just as welcome to kick back with a PBR as a bottle of Dom (the latter being among the least expensive in town). Regardless of this everyman philosophy, you'll want to call ahead. 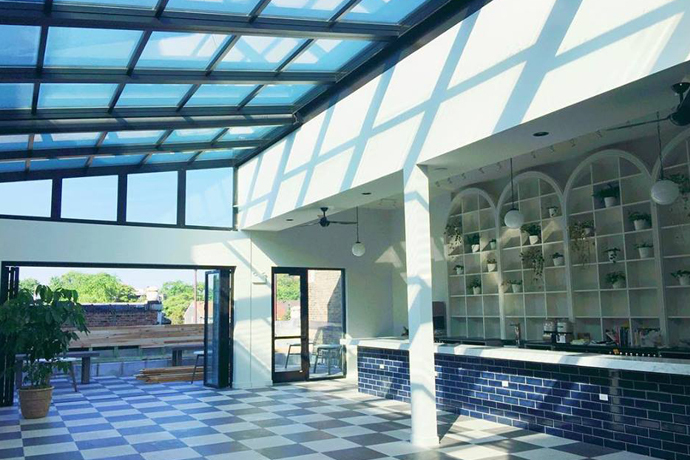 Unlike upstairs, Sub 51 is tiny and for now taking reservations for $20 per seat. If you need to ditch your own paparazzi when you arrive, a secret kitchen entrance is in the works—though you're not off the hook once inside. The ladies' room is equipped with a cheaters' cam, letting her keep an eye on you while she's powdering her nose. Currently it's trained on the upstairs bar, but don't take any chances. We'd hate a little bad PR to ruin your evening.